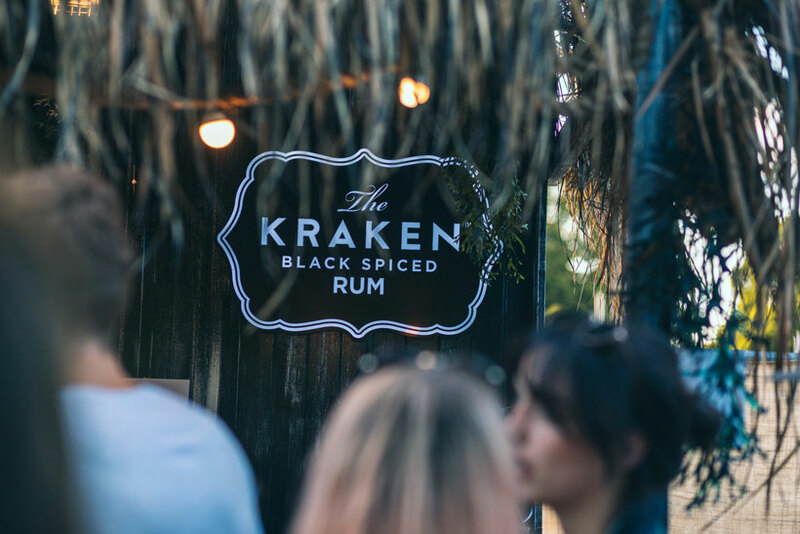 This summer, Kraken® Rum invites you to delve into the darker side of tiki once more as the Kraken Rum Freaky Tiki bar returns for 2018. The history of tiki, its mythological side, has almost become lost amongst the hula girls, grass skirts, cocktail umbrellas and Hawaiian shirts. But trust us, there’s something a little freaky going on with tiki. Kanaloa, the tiki god of evil, death and the underworld, is symbolised by the squid, much like the revered Kraken. There are also cannibals, ghost dogs, wrestling and bone breaking gods. Tiki is shrouded in a multitude of myths and legend. We will be embracing the esoteric at our cocktail bar. Imagine the giant, mythical Kraken has risen out of the sea to completely engulf a tiki bar with its giant tentacles and dragged it, stools and all, down into the sea. We want to invite you to step into our sub-sea underworld. Kick back in the Kraken’s lair, sample our signature drinks and darkly twisted versions of classic summer cocktails - like the ‘Perfect Storm’ [Kraken Rum, ginger beer and lime] or the ‘Poison Apple’ [Kraken Rum, lemon juice, ginger syrup and cider]. When the sun goes down, and day turns to night, we’ll be unleashing the spirit of the Kraken with DJ’s and live percussion and a few surprises thrown in for good measure. Get your best Freaky Tiki face on for a chance to win some bounty and you won’t want to miss the ‘Awakening of the Kraken’ ceremony every night. Come and join us at Freaky Tiki and you’ll soon start to appreciate the darker side of summer. 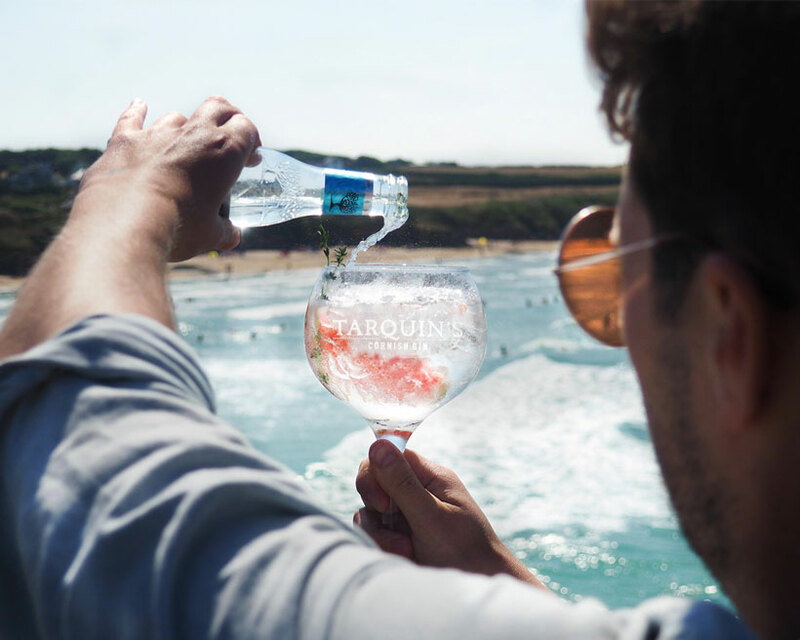 We’re very excited to welcome our north Cornish coast neighbours Tarquins Gin to Boardmasters – bringing a little slice of sunshine to your glass this year! For 2017, DAVIDOFF returns to Boardmasters to celebrate the launch of their new fragrance DAVIDOFF Cool Water Wave. Powered by the SamsungGear VR, the CATCH THE WAVE experience will provide festival-goers the fully immersive experience of getting barrelled at the notorious Teahupoo in Tahiti. They say “only a surfer knows the feeling” and now you can too! Inside you’ll be transported to the island of Tahiti, where you’ll join a legendary crew of surfers, including 11x World Champion Kelly Slater. Through the eyes of C.J. Hobgood, you’ll journey to the famous spot and head out to the line-up. Diving off the edge, you’ll duck dive into clear water, whilst the crew ride above. Paddling into a set wave, you’ll cruise passed Kelly Slater before tucking into the barrel, watching the lip pass by overhead with the stunning Polynesian mountains behind. 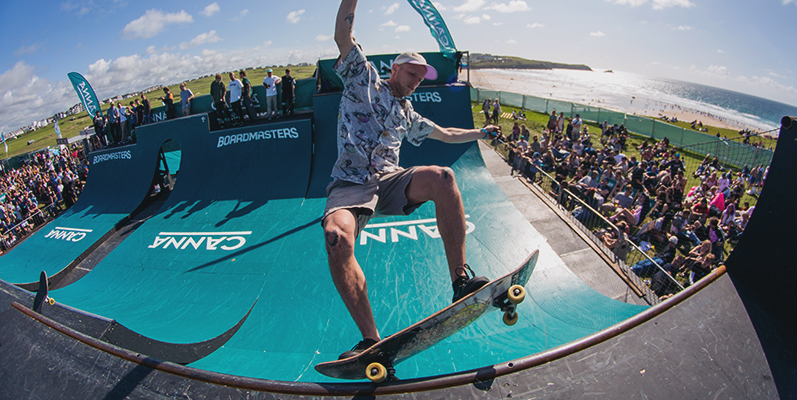 Making a return with the CANNA Ramp, CANNA play host to the top UK Skate and BMX Talent at Fistral Beach. From the Young Guns (under 16s) to the top professional athletes competing worldwide, the CANNA ramp will get your pulses racing with the high octane action. All this with the sea view back drop! The Garden Presented by CANNA is transformed this year! The Garden is the place to be at Watergate Bay with graffiti workshops, garden games, CANNA bar and brand new for 2018 - night time surprises for those who can find the way. We're helping you be your best festival self at the UK’s hottest festivals. Be part of our exciting beauty, grooming and fashion experience where everyone’s welcome and anything goes. We've chosen a top line-up of only the best big beauty brands to work their festival magic on you and your tribe. Let your hair down, be yourself and let us help you meet those glitter goals this festival season. Chocolate lovers are in for a treat with Cadbury’s free immersive experience. You can explore five different chocolate bars in the fun house – Cadbury Crunchie, Wispa, Boost, Double Decker and Twirl, where you will be challenged to take part in joyful activities that bring each bar and taste sensations to life. 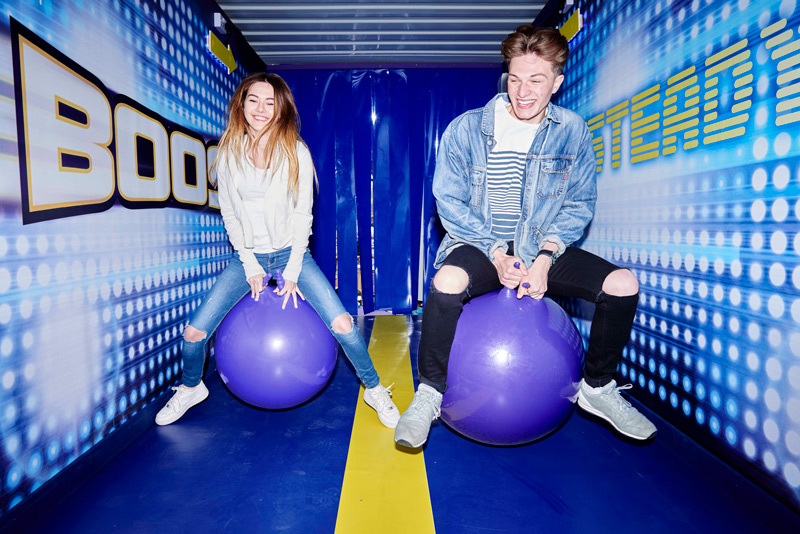 Cadbury are also running a photo competition – take a picture of the experience, post on Instagram #CadburySensations for the chance to win £150 of Topshop/Topman vouchers! We are an award-winning cider company based in Duloe, Cornwall. If you love a good quality cider, you’re in luck as we have a range of ciders for you to try that are made from 100% freshly pressed apples that are bursting with flavour for a natural apple tasting cider. This year, alongside our popular Farmhouse, Gold and Fruity Blush Cider, you will be able to try our new award-winning Dry Cider which has been highly popular since its launch in April. All our ciders are gluten free and suitable for vegetarians and vegans – there are no artificial sweeteners, flavourings or colourings here! 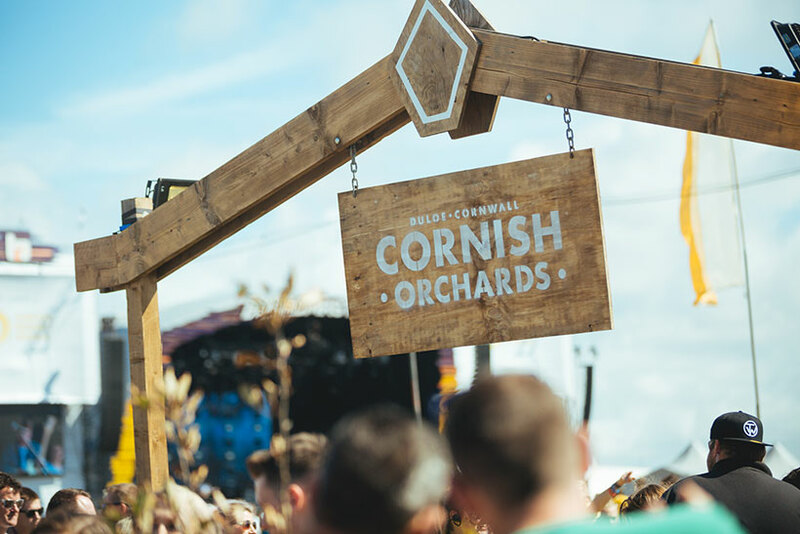 If you’re looking for somewhere to chill, head to our Cider Bar at Watergate where you can sit down and unwind amongst the apple trees to the sounds of live music, or if you’d prefer the sounds of the surf and views of the sea, head to our Cider Shack at Fistral Beach. Alongside our range of ciders, we have a selection of soft drinks suitable for those who are wanting alcohol-free options. But most of all, we look forward to welcoming you to our cider bar and hope you enjoy the taste, sounds and everything this year’s festival has to offer! The sun, the sea, the surf. The Corona SunSets Stage returns, bringing smooth beats back to Cornwall. 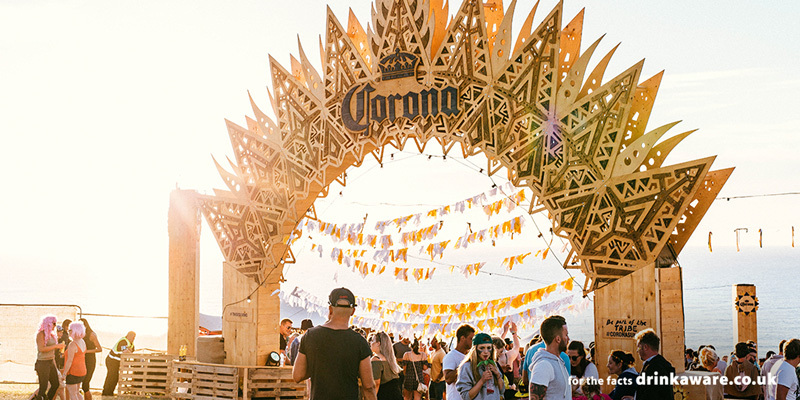 Join the tribe, get your face painted and follow the Corona procession to the ultimate celebration of the sunset. Embrace the spirit of summer as night approaches. Watch the stage come to life as colours dance across the sky. 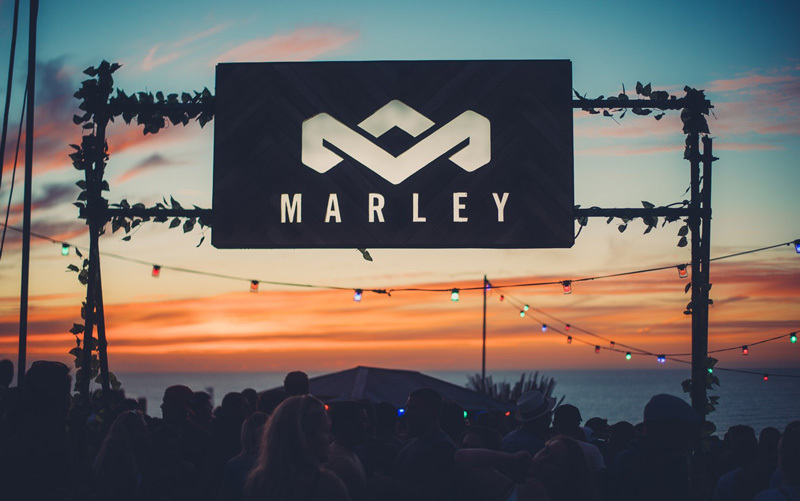 THIS YEAR, HOUSE OF MARLEY IS RETURNING TO BOARDMASTERS TO BRING YOU SUPERIOR SOUND, SUSTAINABLY CRAFTED - FOR A SUMMER YOU’LL NEVER FORGET. Experience the positive vibes of Jamaica at the House of Marley hang out area. Enjoy the authentic rustic rum bar and sound system with special guests Kiko Bun, Youngr and FooR. This will be the perfect place to get together with friends and enjoy good times. There, Team Marley’s DJ Melody Kane, Kenny Ken, Mr Play and Seani B’s BrukOut will also be playing throughout the weekend from sun-up until our sunset session. Built on the principles of superior quality, earth friendliness – bringing technology and materials together and a commitment to charitable causes. Join us to discover consciously crafted audio products that pair earth-friendly materials and incredible sound, and support the #LiveMarley mind-set to respect the earth and of course, each other. Monster Energy is proud to be supporting this years Boardmasters festival at Fistral Beach in Newquay. Passenger is an outdoor adventure lifestyle brand that designs clothing and accessories engineered for escapism, Inspired by Travel, Music & Salt Water. As part of giving back to the environment that we love to explore and escape into we plant a tree for every order. ROXY, the first and exclusively female global action sports brand, has been empowering female pioneers since 1990. This year the global #ROXYFITNESS tour returns to the UK for a weekend of sea-view yoga sessions as well as pro surf competitions at the widely renowned Boardmasters festival. From Friday 11th until Sunday 13th August, you can get your morning yoga zen at ‘The View Stage’ alongside Roxy’s inspiring ambassadors, the multi-talented Justine Mauvin and Lee Anne Curren. In between music acts, head down to Fistral beach to watch the Women’s Roxy Open surf competition, a chance for participants to qualify for the World Championship Tour - catch Roxy UK rider Emily Currie in the line-up too! Over the last 25 years, Roxy has been building a community of women who are continuously changing the course of sport through an aspirational yet inclusive lifestyle – ready for anything day and night! Quiksilver has been bringing the stoke since 1969, supporting all boardriders and world-class athletes across a global playground; from the sea and the mountains. Joining forces with Boardmasters aligns with Quiksilver’s surf heritage but emphasises the brands grittier vibe – beach parties, influential music and having a rad time with friends. 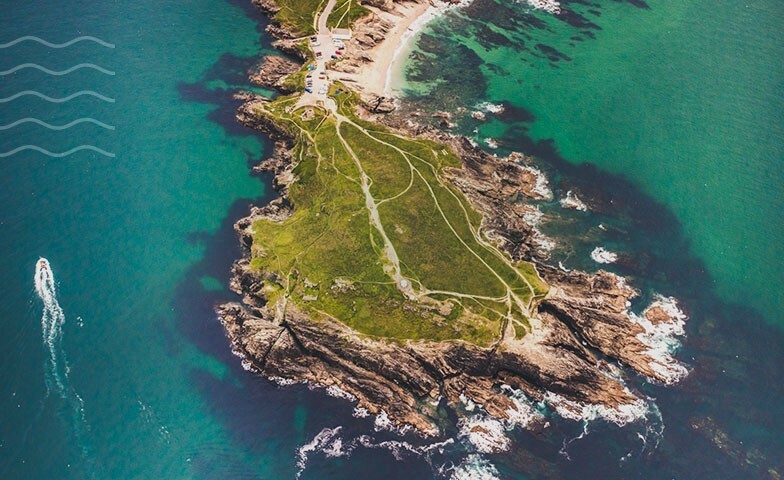 During the event, Quiksilver is proud to be supporting the British surf scene with the Men’s Quiksilver Open in Cornwall’s surfing capital, Fistral Beach. Being part of the World Surf League (WSL) qualifying series guarantees an array of travelling international surfers as well as the best British surfers, all looking to qualify for the World Championship Tour. Quiksilver’s ‘Originals’ collection has been developed into a contemporary range with attitude, to take you from day to night. So have a cool beer with the team at the on-site retail areas throughout the festival and pick up some fresh threads! WIN a 7 night family holiday to St. Pete/Clearwater including flights, accommodation and car hire! 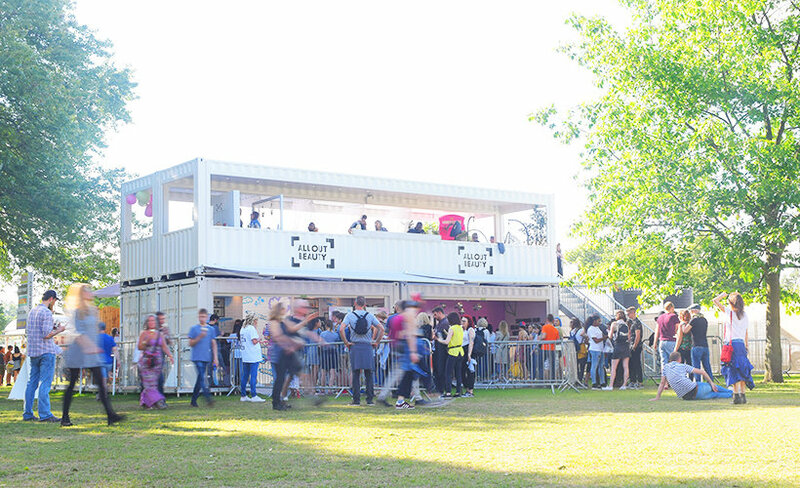 This summer, Samsung is bringing an experience like no other to the UK’s most loved music festivals. The epic user generated performance, powered by the Galaxy S8, gives festival goers the chance to create their ultimate 360 infinity selfie by having complete control over their environment. With hundreds of elements to choose from, each experience created will be loud, visually intense and unique. The Samsung HYPERCUBE has been designed to create the perfect environment to capture this content. An experience of epic proportions, up to 30 festival goers at a time will enter the striking infinity room to share the stage with their friends and create their own unique 360 infinity selfie. Visa is Boardmasters official payment partner. Everywhere throughout the festival you will have available multiple payment options from credit, debit and contactless so you can easily use your Visa card for all payments, such as coffee, drinks, lunch or shopping. Moreover, your Visa card will come in handy when you need to activate onsite unique experiences offered by Visa throughout all Boardmasters locations. 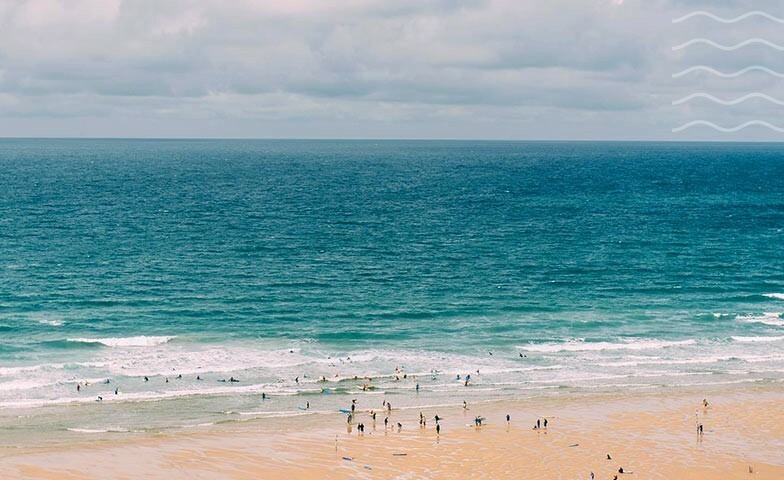 Fistral Beach: The Fistral Beach Hotel and Spa in Newquay is a cool beachside hotel with coastal chic by the bucket load. The contemporary hotel has 71 cool comfortable rooms and suites, a stylish spa, a laid-back lounge bar and vibrant beachside restaurant. Sands Resort Hotel (or Sands as most of our return guests would call it) is owned by a local family who has been running hotels in Cornwall for 75 years. With 3 generations of experience we have been setting new standards of child friendly hotels and service that exceeds most family hotels in Cornwall and the UK. We like to think that we were the first family hotel in Europe to develop children’s clubs and the first hotel in Cornwall built specifically with families in mind. As a privately owned hotel we are all about the personal approach so often missed in large hotel chains. For us it’s the little things that make all the difference. 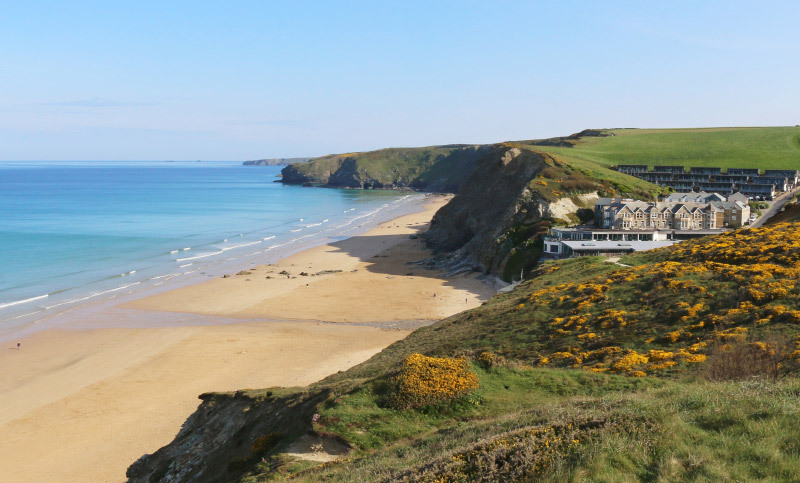 Set on a spectacular surfing beach on the North Cornwall coast, Watergate Bay Hotel is the perfect destination for a contemporary beach holiday. It’s a place that’s about the balance in life – being active, getting among the elements, eating and drinking well, chilling out and getting cosy. Most of all, it’s about having a good time. The beach is on our doorstep, so from the moment you arrive the Atlantic Ocean and the rugged coastline are an ever-present reminder that here nature rules. 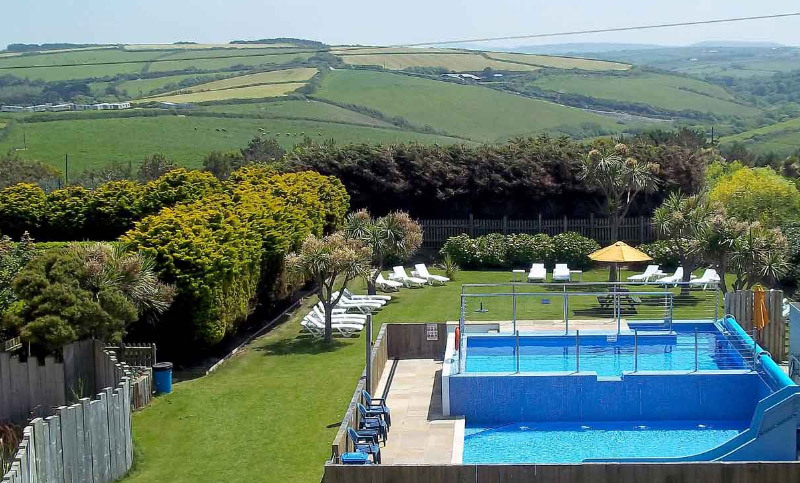 • A contemporary cliff-top hotel in Newquay, with epic views of the Atlantic ocean. Only minutes away from Fistral Beach and they're dog friendly! 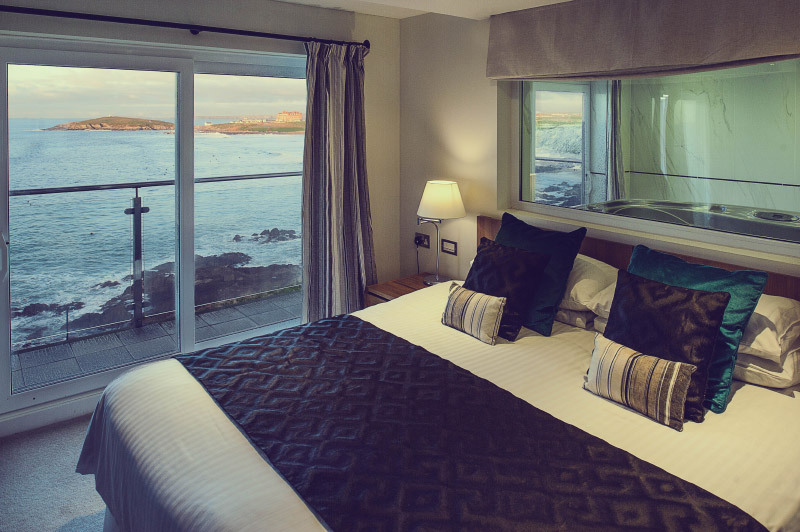 • The Three Tees is a family-run hotel with a friendly & informal atmosphere situated in the quiet Lusty Glaze area of Newquay, a short walk from the beach, & 10/15 mins walk from the town centre. • WAX is Watergate Bay’s newest venue. The Bar and Kitchen offers you a chance to experience amazing food and drink while overlooking the iconic bay. • Boasting perfect views over Fistral, there is no better place to sit back and enjoy some food & drink whilst watching the surf. • A real hidden gem on the North Cornwall coast, the Lewinnick Lodge boasts a stylish bar and brasserie that’s long been favourite with locals and those in the know. This chic secret spot is Newquay’s first boutique lodge, brimming with understated elegance and cool allure. • Stable has breathtaking, panoramic views over one of Britain’s most famous beaches, Fistral Beach. Sit back & relax with some legendary pizza & watch the surf from the balcony. • Gilmores brings freshly cooked, Mexican inspired food to Cornwall! Many a great night to be had here. • Established over 20 years ago in the heart of Newquay, Senor Dicks Mexican restaurant is highly regarded as the local’s choice for great food and drinks. • Situated on the beach at Watergate Bay, experience Fifteen’s bold, bright, seasonal Italian dishes packed full of flavour and served with a Cornish twist. All the profits from Fifteen Cornwall go to registered charity ‘Cornwall Food Foundation’ who manage the award-winning Apprentice Programme. • CARVE Magazine is the UK's best selling surf title. Featuring bleeding edge surf photography, top notch features and all the best bits from the surfing world. Backed up by carvemag.com where you'll find surf vids, guides and heaps more good stuff! 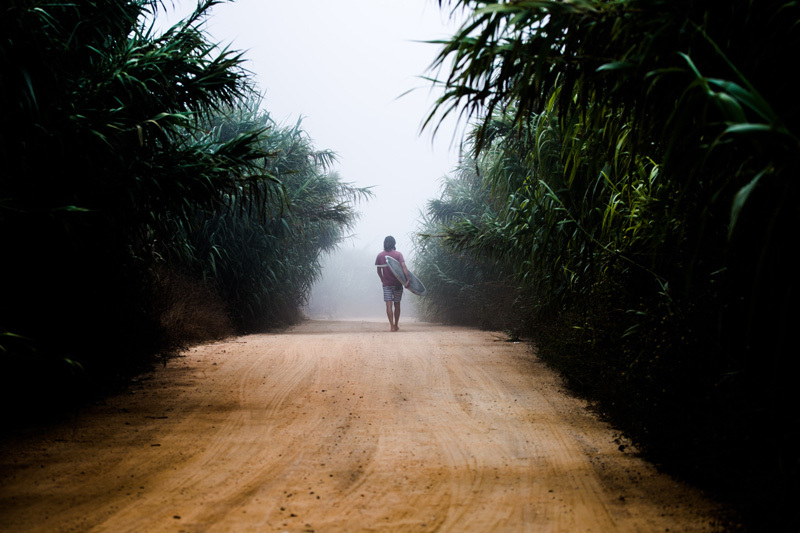 • SurfGirl is a magazine for girls all over the world who love surfing, beachlife, surf culture and art, travel, adventure, music and the environment. 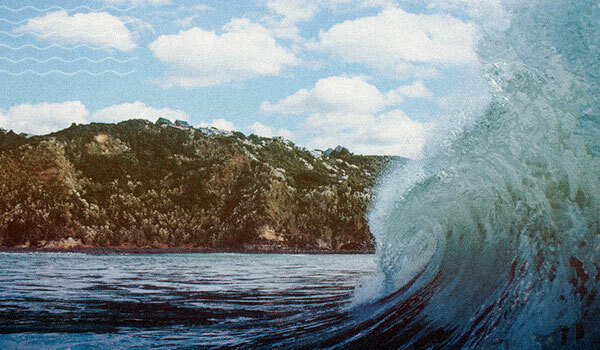 • Wavelength is Europe's first surfing magazine, highly respected and in print since 1981. • Surfers Against Sewage (SAS) is an environmental charity protecting the UK’s oceans, waves and beaches for all to enjoy safely and sustainably, via community action, campaigning, volunteering, conservation, education and scientific research. • Are you dreaming of sun and warm water waves? 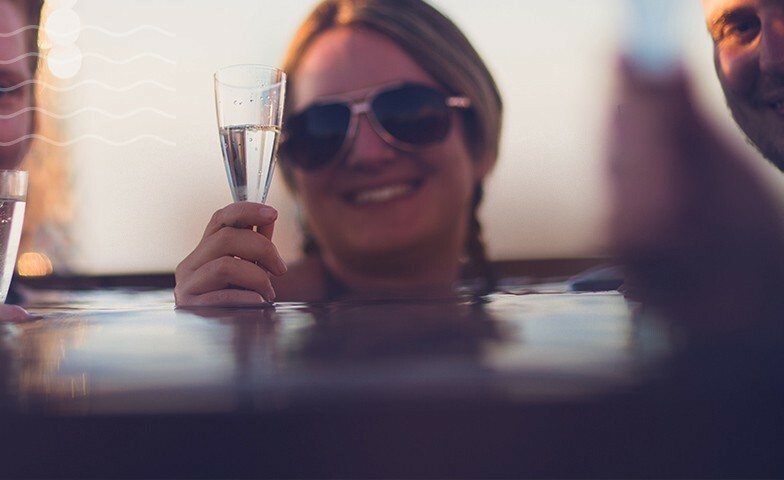 Kick-start your summer and enjoy a sun-filled week in Moliets set to a Boardmasters soundtrack. Expect intimate live gigs from very special guests, surfing lessons, yoga sessions, late night parties and campfire chilled vibes.